Are you in the market for an outdoor sign? Outdoor signs can be a great way to leave a high impact impression on the minds of prospective customers. They are often large, bold, at times illuminated, sometimes they even have a retro touch and a vintage look and feel. Signage can come in many mediums and forms: some popular outdoor signs include building signs, channel letters, mounted signs … the list goes on. These are just a few of the many options of exterior signs that are available to you and your company! Outdoors signs can be used to provide a marketing tool that leaves a memorable mark with the public. Often, these signs display valuable information that can be used by your community to locate your business and gain integral information on the products and services you offer, your facility’s hours of operation, and special promotions you may have. There are many benefits to advertise with an outdoor sign, and opt for a customized sign, something that is unique to the company, the brand, or the location. We strive to provide our clients with innovative products at affordable prices, we utilize high quality components, cutting edge technology, and our design expertise to design, fabricate, and install signage that perfectly fits your business’s location, aesthetic, and continue to support your brand. We are passionate out hour work, and often walk the extra mile. Installing a new outdoor commercial sign requires you to first secure a permit, which can be a long and arduous journey involving surveys, petitions, paperwork, and possibly lots of headaches. 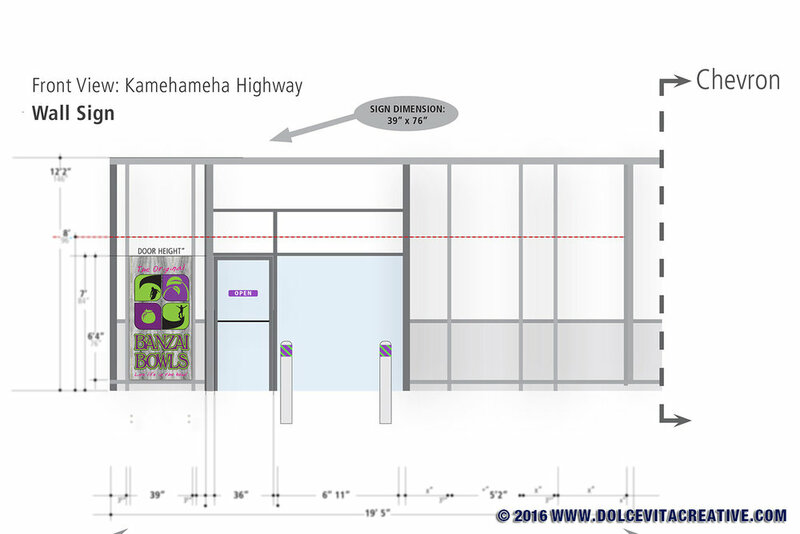 We are experienced in the signage approval process, and work with all municipalities and communities throughout the State of Hawaii on commercial sign permits on a regular basis. We have the resources, expertise and the experience to handle both standard and specialized approvals and variances, and we've managed the sign installation and approval process for clients in Waikiki as well as on the NorthShore of Oahu. We complete the permit paperwork and always try to expedite the complicated approval process. 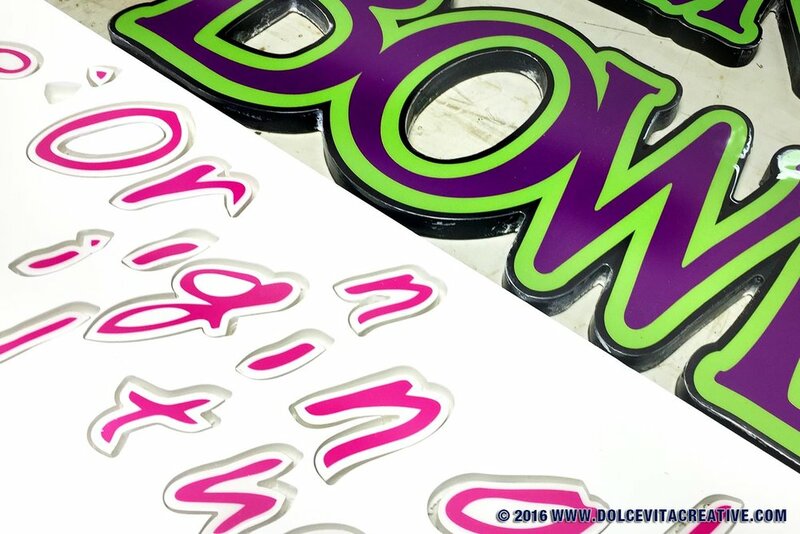 From the design phase to fabrication and installation, we can handle any sign or branding project. We consult all of our clients to be able to put together the best signage package possible, focusing on factors like materials, style, industry trends and standards, budget and more. If you’re a brand new company just starting out, or an established business in your area, we can help with all your signage strategy. Great signs generate leads, customers and interest. ~ No matter how big or small your signage project might be, contact us online or call us at 808.779.8289 to learn more about our commercial sign design, fabrication, and installation services. We look forward to help you in any way we can. ~ Mahalo. Every sign project is unique, including yours. That's why we provide personalized and customized service for every aspect of your sign project. We want to make sure your sign will showcase your brand in the most effective way possible. From the initial consultation and on-site analysis, to design and manufacturing, to installation and maintenance, you are kept updated of what stage your project is in, the latest news from the Permitting Department and when installation is scheduled. We are with you every step of the way.